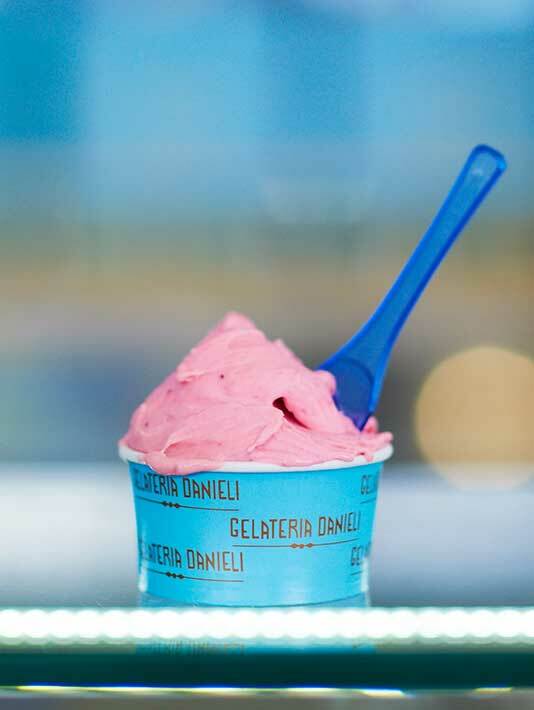 Gelateria Danieli sources the finest ingredients to ensure its products are of the highest quality: from Sicilian Pistacchio di Bronte to succulent Alphonso Mangos from India. We whip up our ice cream and froth our coffees using Organic milk and cream from the Cowdray Estate in the South Downs. We never skimp on our ice cream, and that drive for quality hasn’t gone unnoticed. Gelato connoisseurs travel great distances to experience Gelateria Danieli’s unique flavours, while Time Out awarded us a full 5-star rating, crowning Gelateria Danieli “Best takeaway ice cream in Greater London”. Top restaurants across the capital stock our product and even HM The Queen couldn’t resist the vanilla, which was served at her 80th birthday celebrations in Kew Gardens.